Whether or not you’re familiar with his name, chances are you’ve been singing Howard Ashman’s songs for as long as you can remember. Alongside composer Alan Menken, the lyricist is responsible for many of the iconic Disney songs that defined our childhoods and continue to bring us joy into adulthood. But while we know and sing many of Ashman and Menken’s songs daily, a new documentary, Howard, explores the life of the man behind the iconic lyrics. The documentary, which is set to premiere at the Tribeca Film Festival, reveals exactly how those iconic musical numbers came together — featuring rare behind-the-scenes footage from the production of these legendary films. 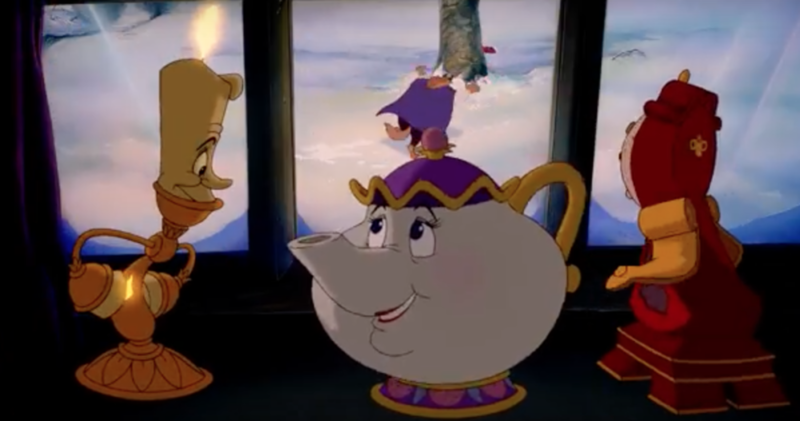 “It was musical theater heaven,” Menken says in this newly released clip featuring Jerry Orbach (Lumiere) and Angela Lansbury (Mrs. Potts) recording Beauty and the Beast classic “Be Our Guest.” The clip reveals that unlike most recordings we’ve become familiar with — in which the cast records their parts separately to be edited together later — the Beauty and the Beast album was put together with show-stopping performances. While we can only imagine how spectacular that would be to witness, according to director Kirk Wise, simply being there as the musical numbers were recorded was an out-of-this-world experience. "There was just an incredible thrill to be able to walk into that studio in New York and have this full orchestra and this full chorus performing this stuff live," Wise said. "We created the soundtrack for Beauty and the Beast like a Broadway cast album." Howard will premiere at the Tribeca Film Festival on April 22nd.